Spring is officially here, and I am loving it. Although, if I am completely honest with you, winter in Florida isn’t bad at all. It was actually the best winter (weather wise) I’ve ever experienced. I surely can get used to this. 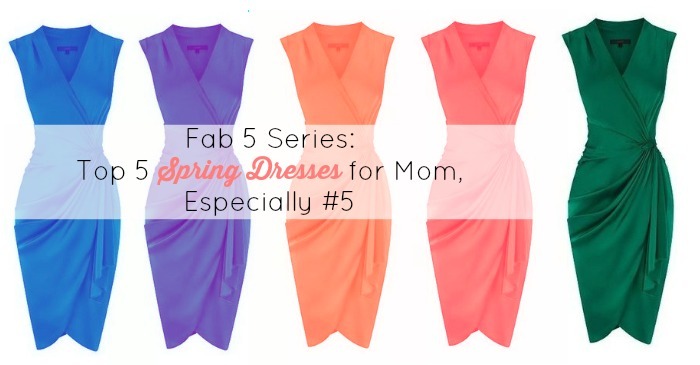 With the Spring season; comes colors, florals and dresses. 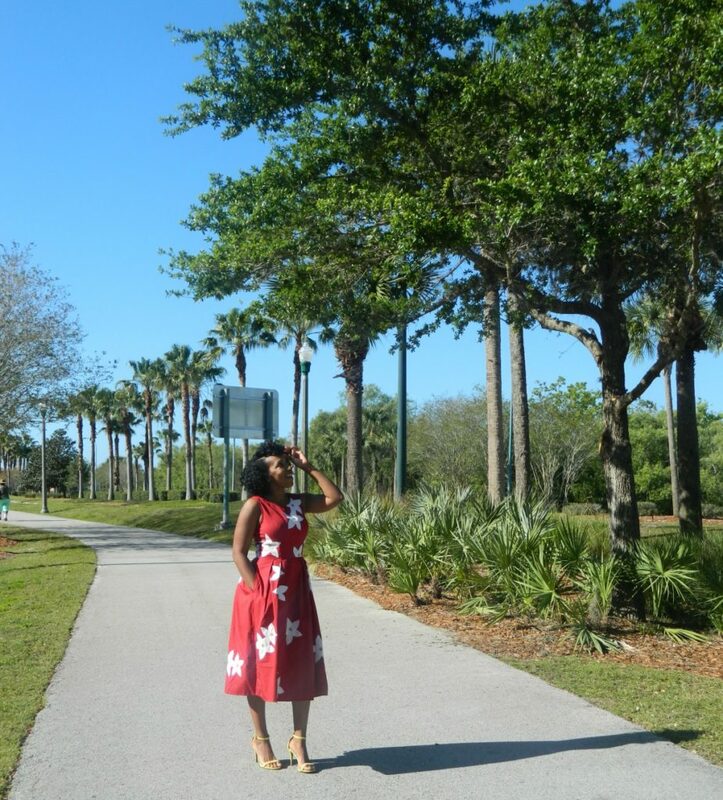 I am a lover of dresses, so when eShakti emailed me and asked me to pick out a dress to share with my readers, it was a win-win for me. 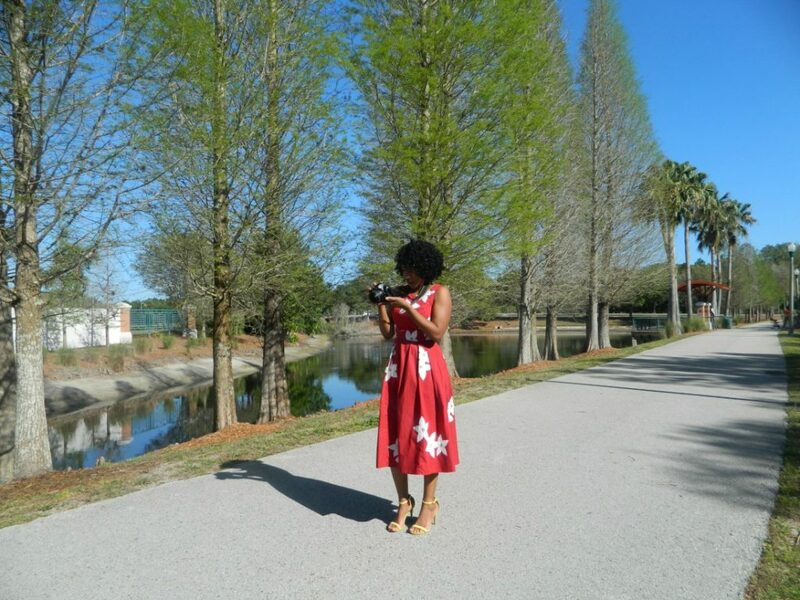 Next month, I am speaking at the Mom 2.0 conference and I wanted to find something to wear that made me feel pretty, confident and flowed as I walked into the room. 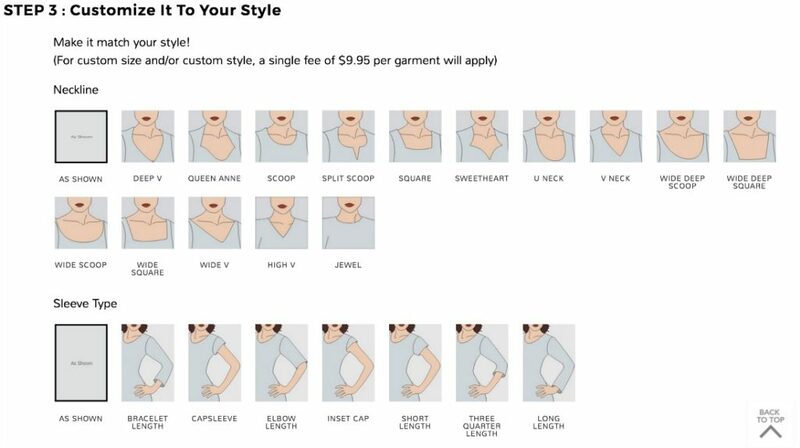 One thing about eShakti.com that makes them standout is their customization. 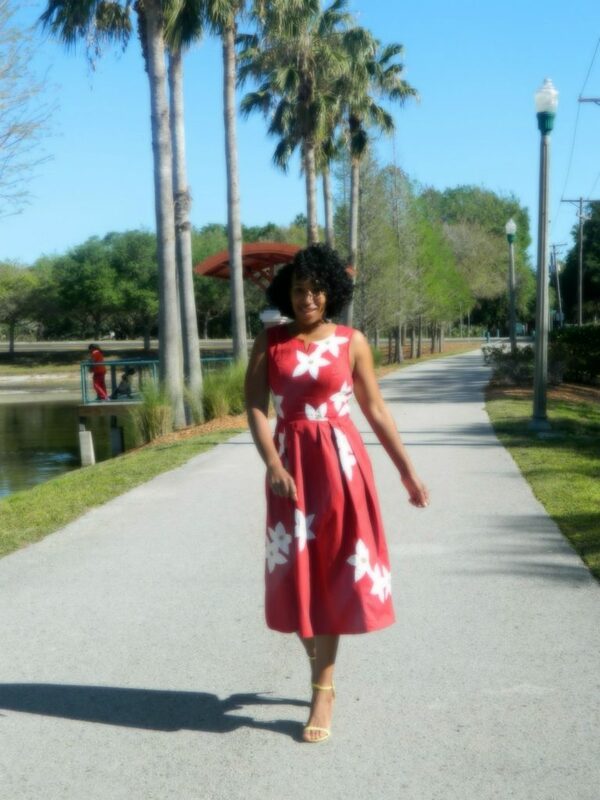 You can literally take a dress and add an arm length, neck line, leg length, custom cuts and more. You can make the dress the best version for your body, and that’s amazing. 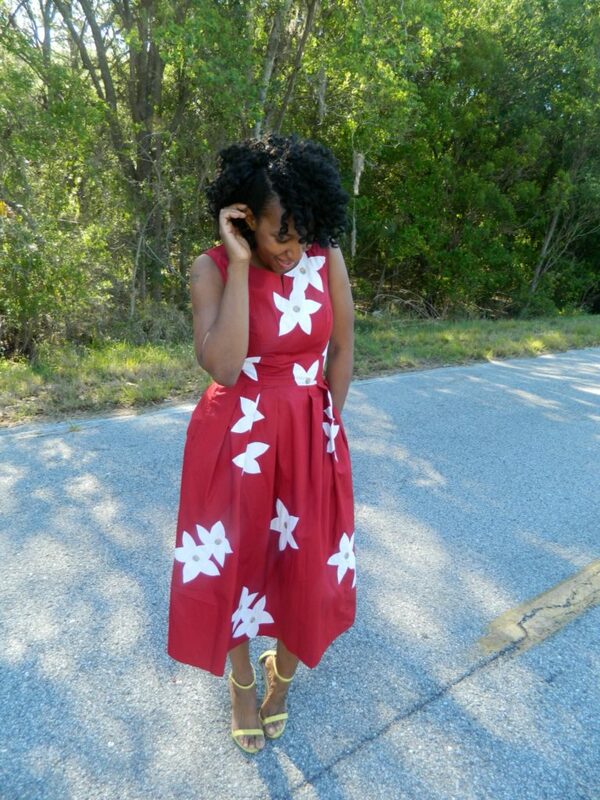 The dress I chose was a beautiful red cotton number, with white flowers. It’s accented with green and yellow spots within the flower, so I thought a pop of yellow shoes would go nicely. 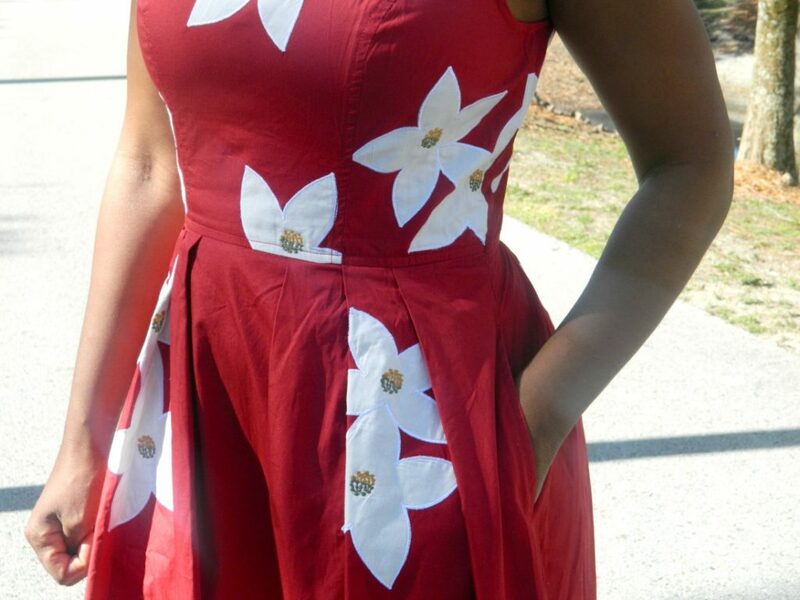 Floral applique all over enhances the feminine charm of our cotton poplin dress styled with a princess-seamed bodice and box pleat skirt for classic flattery. Cotton, woven poplin, pre-shrunk, smooth feel, no stretch, lighter midweight. 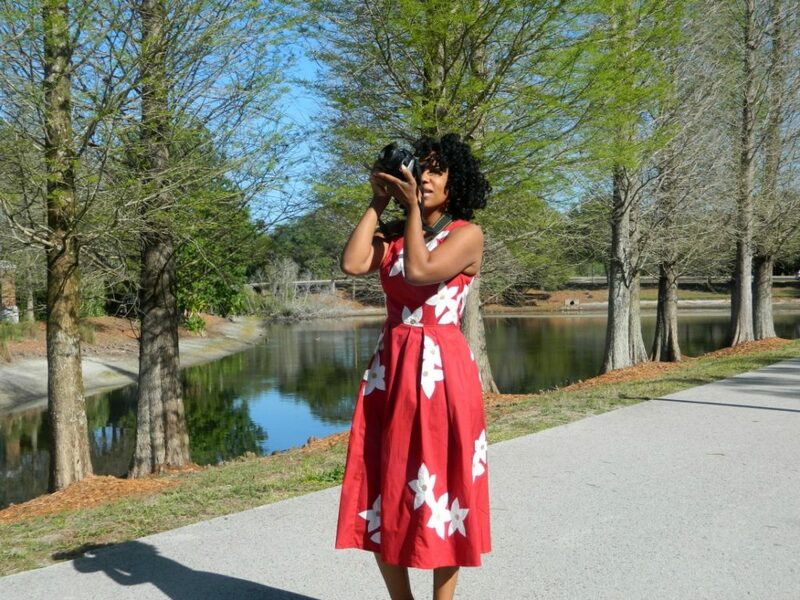 Bernetta is wearing our size M/6, cut for her height of 5’5″. What do you think about the dress? 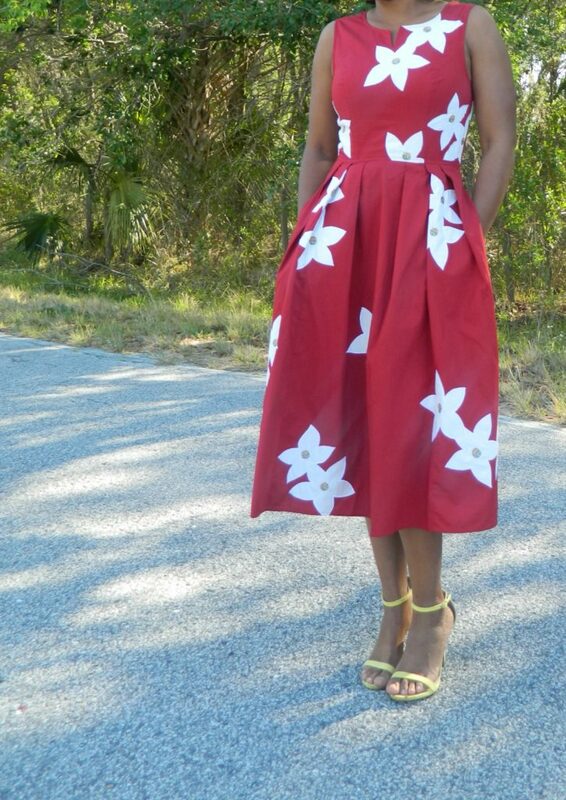 This dress also comes in a blue and green version. Lucky for you, if you see something you like on this site you can get $25 off of your purchase plus 5% off a Spring or Summer item & FREE SHIPPING!! What a great offer! What are you ordering tonight? 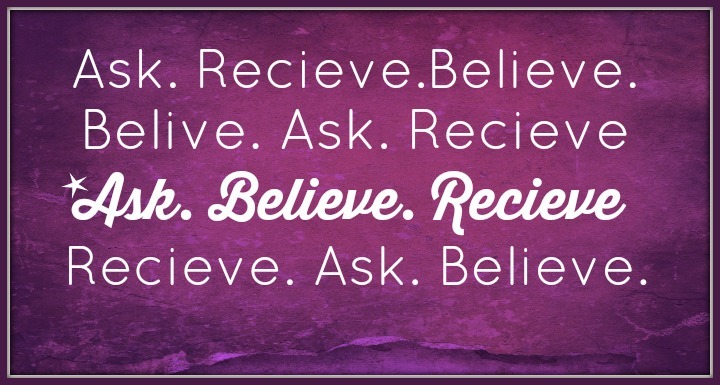 Ask Believe Receive, In that Order! Are You Doing it Right?